This is a picture of the fantastically named Betty Snowball, who played cricket for England (as well as squash and lacrosse for Scotland). In February 1935 she set the world record for the highest individual innings in women’s Test cricket, scoring 189 runs in 222 minutes against New Zealand. Her record wasn’t surpassed until 1986 (by former Indian cricket captain, Sandhya Agarwal) but it remains the highest Test score by an English woman. Betty was born in 1908 in Burnley, Lancashire. Following her cricket career, she became a PE and Maths teacher in Hertfordshire. Wisden Cricketers’ Almanack describes her as ‘one of the major figures of women’s cricket for two decades from 1930’. 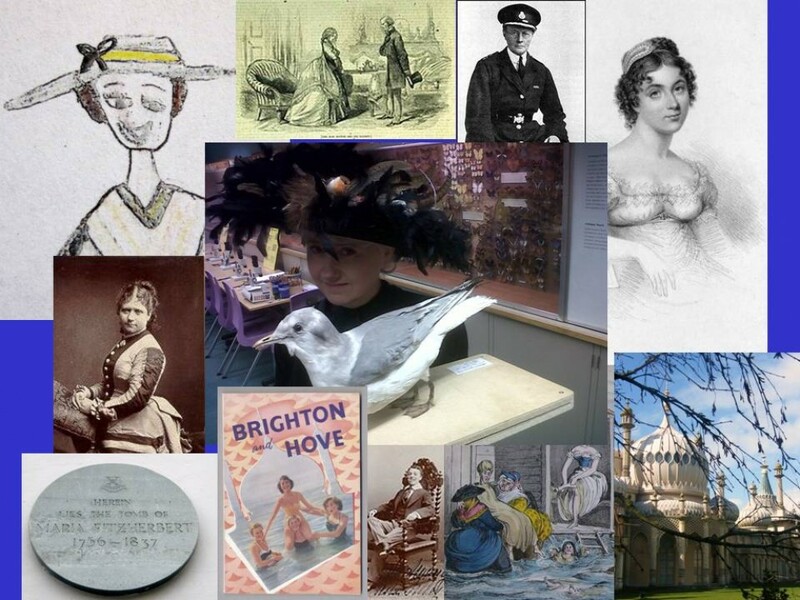 Although Betty doesn’t really qualify as a woman with Brighton or Hove connections I wanted to mention her in the run-up to my next round of women’s history walks as my brand new tour around Hove will start close to the Sussex Cricket Club Ground. Sussex Cricket Club started life in 1839 and is the oldest in the UK. I thought it would be a good moment to remember the achievements of a formidable woman cricketer from the past. Saturday mornings during the Brighton Fringe Festival 2016… 30th April, 7th, 14th, 28th, May, 4th June at 10.30 for 1.5 hours. Tuesday evenings 17th, 31st May at 18.30 for 1.5 hours. Book with Brighton Fringe http://www.brightonfringe.org/?gclid=COGviLjOg8oCFUYTwwodpDID0Q, or just turn up. Sunday mornings during the Brighton Fringe Festival 2016… 1st, 8th, 15th, 29th May, 5th June for 1.5 hours. Tuesday evenings 3rd, 10th, 24th May, 2nd June for 1.5 hours. Bookings… as for Notorious Women of Hove. These walks, as well as ‘Notorious Women of Kemptown’, are also available for private group bookings outside the Festival. Contact me on historywomenbrighton@outlook.com to find out more or discuss your requirements. I hope to see some of you in May! This entry was posted in Uncategorized by historywomenbrighton. Bookmark the permalink.